Effortless elegance is a virtue found in rarity. The unblemished finesse and charm is intriguingly alluring. At ESSPEE GROUP, each of our endeavour is a presentation of ultimate style and class. Formed with a single motive of transforming challenges into opportunities, the group consists of dynamic and professional real estate developers who focus on quality and timely delivery by holding an experience of over three decades. ESSPEE GROUP is an unparalleled and a fast growing business entity that differentiates itself through innovation and value-driven businesses in real estate industry, fashion, movie productions, events and other sectors. We are a people-oriented organisation representing the earnest energy of its individuals and rewarding challenges to all the members of our team. Innovation, excellence and commitment to deliver the best are the hallmarks of ESSPEE GROUP. Brushellz Industrial Park, AIMS Prospero, Rajasthan Fashion Week & Movie Chhello Divas stands testament to ESSPEE GROUP’s wide repertoire of work. From a small-scale business set-ups to corporate infrastructures, Brushellz Industrial Park is beyond a conventional industrial estate to a destination where businesses get a perfect launch pad for an exciting future. With plots ranging from 1200 sq. ft. to 12,000 sq. ft. area, it is an optimally designed park that allows enthusiastic entrepreneurs and business giants to establish their presence in the heart of Gujarat, the growth engine of India. Brushellz Industrial Park’s strategic location on N.H. 8 and a host of business-friendly features make it the core zone to-be for successful ventures. AIMS Prospero is a project by AIMS Industries Ltd, Marketed by ESSPEE GROUP. It is a name for intelligently designed business space for corporate offices, retail outlets and showrooms with a brilliant architecture. This new age commercial development has redefined the conventional concept of stand-alone work spaces by integrating work with leisure. Rajasthan Fashion Week (RFW), a four day rich extravagant event is all about explosion of colours, cutting-edge designs with a dash of glamour at the heritage city of Jaipur. It is aimed at bringing forth the elegance and class of fashion in today’s world by showcasing a royal fashion experience with designer outfits through top models and celebrities as showstoppers. Mr. Sharad Patel with the team force of experts in the fashion industry has successfully completed two seasons of Rajasthan Fashion Week and the story of its success will continue in the next seasons and other fashion ventures. 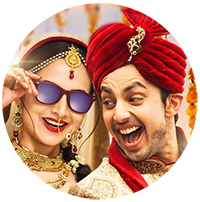 Sweetiee Desai (Zoya Afroz) is a happy go lucky girl born to a wealthy businessman Bhoolabhai Desai (Darshan Jariwalla) of Vadodara. 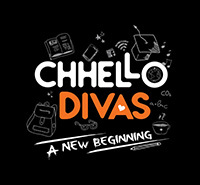 Bhoolabhai is a jolly person with only one ambition – to get Sweetiee married to an NRI. The reason being, he was deported from UK many years ago and wants to see his daughter settled in UK. Aakash poses himself as an NRI and his marriage with Sweetiee gets fixed! But on the day of marriage something happens which changes their lives forever.